Great Impressions: A New Challenge! We are having a "Bunny Hop" (giggle) right here on the blog this Tuesday, March 5th. beginning at 8:00 a.m. Eastern Time! Speaking of prizes and inspiration, today begins the first day of our March challenge. Before we get to that, let's check out the Top Pix for February shall we? We had a record amount of entries making our decisions oh so tough! In random order our first Top Pix was chosen by Guest Designer Patti. 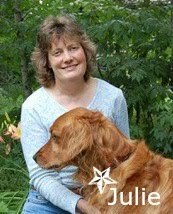 Patti has been with us for two months and what a sweet and talented lady she is. 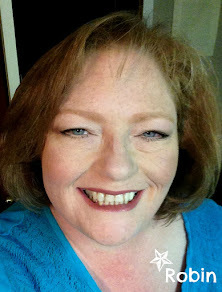 Patti said, "Tammy, your card makes me smile! I am a bit of a "rebel", so I was immediately taken by your non-traditional colors. The image is so cheerful, and is colored beautifully. How fun it would be to find this adorable card in the mailbox! 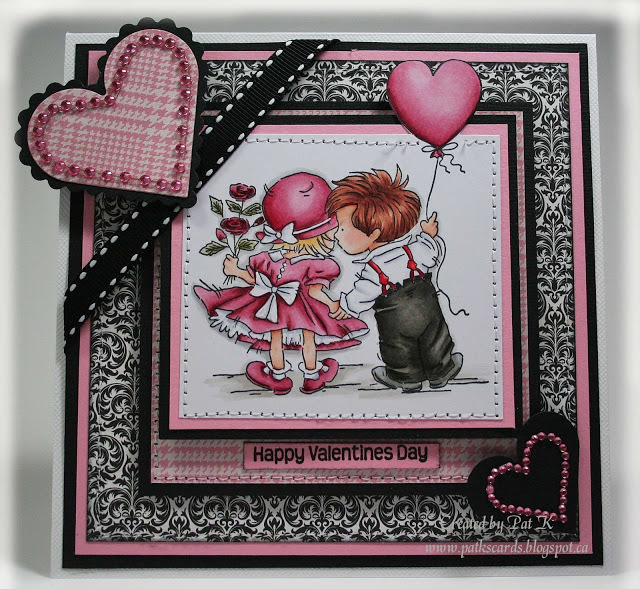 Thanks for joining us for our February challenge! Cheryl choose our next Top Pix. 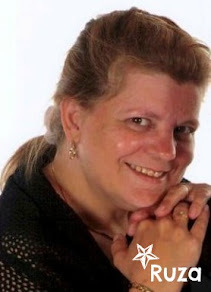 are a lovely accent and just perfect for our challenge." Finally, I had to make the difficult choice of selecting my Top Pix and our Guest Designer for April. 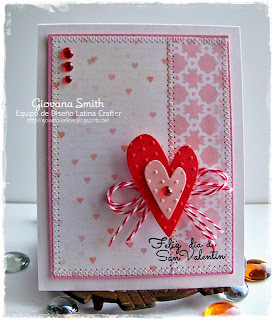 Giovana, I adore those embossed hearts and that jaunty twine bow! The clean design and stitching make me swoon! 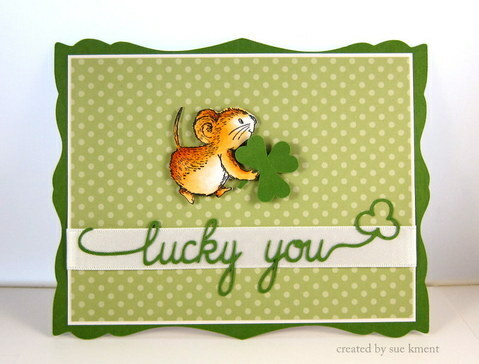 Congratulations sweet lady on being selected as our April Guest Designer! I am thrilled you will be joining us! Each of you ladies may proudly display this badge on your side bar! We do have a random draw winner! your $20 gift code to spend how ever you like at the Great Impressions Stamps store! Alright! Are you getting itchy to get inky? The theme of our March Challenge is "Going Green". We can't wait to see what you create using green and/or something recycled on your project. It can be alot of green or just a splash. Other colors may be thrown in too, totally up to you! If you use something recycled please tell us what it is in your post. For our challenge rules please see our side bar. Remember we do have a $20 gift code up for grabs for one lucky winner! 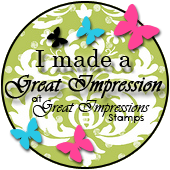 Tell us you used a Great Impressions Stamp and you will be entered in our random drawing twice! 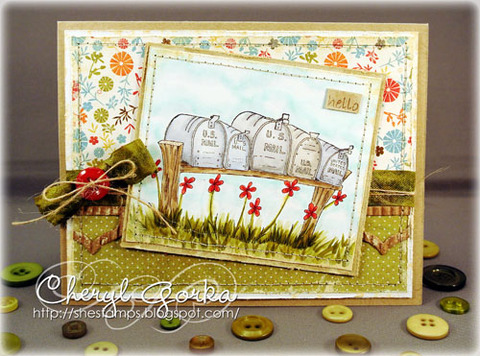 Our March Guest Designer Joan is leading the inspiration parade! 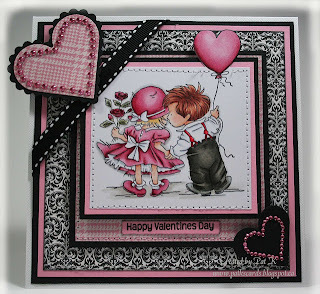 I just love each and every card by the designers! they make me smile and inspire me everyday! Come back on Tuesday and they will be sure to inspire you too on our Bunny Hop! Congrats to all the winners! 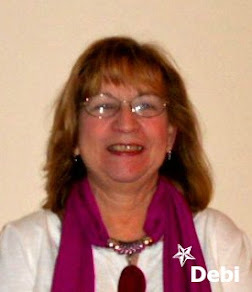 Gio, you will LOVE your time with the GI crew - they are all wonderful, from the DT, to the office staff, to the owner! Thanks so much for choosing my card Cheryl! I'm a big fan of your beautiful work so this is an honor. Oh Patti, Thank you so much for picking my card and for the wonderful compliment!! Congrats to the other winners as well. Beautiful cards this month DT! 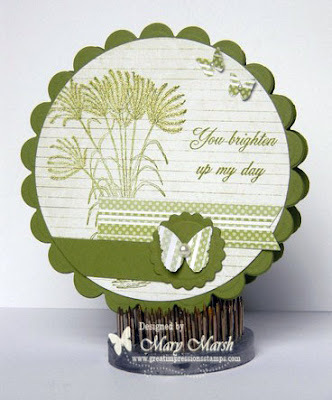 Just entered my card in this month's challenge and used one of my new Great Impression stamps. I just love this sentiment! and GI stamps! All you wonderful enablers :) I finally was able to get my card in here. Thanks for all the great inspiration as always.